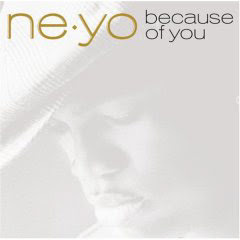 My coworker came by the other day, and mentioned he was digging Ne-yo's new album, "Because of you." "That's cool" I politely replied, but seriously, I'm supposed to listen to a Ne-yo album? Don't teeny-boppers listen to this guy? I had no intention of taking his suggestion, but I was lacking in new music. The last album I listened to that I liked was Corinne Bailey Rae's, which was back in January (!). So, I downloaded it, and listened to it ... and then listened to the whole album two more times that same day. Beginning to end. How many albums can you name that you can listen to beginning to end? This album has the feel of Michael Jackson, mixed in with Prince, and the lyrics of a young R Kelly. A lot of the tracks have the feel of a 90's R&B album. I highly recommend "Because of you." Oh yeah, and not passing judgment. But mostly the album.